Dudes, I promise I don't yell about all things equine all the time. 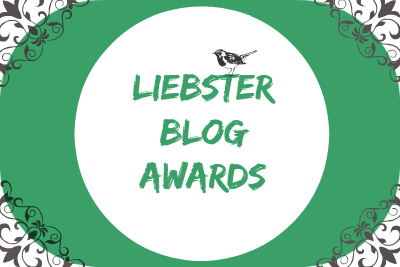 This week I'm doing the Liebster blog awards tag! Thank you, Abbiee, for tagging me in this! You're amazing. I love these things. ALSO LOOK; I made a title header thing. I'm going to have to go back and do that for my previous posts. With less flourish. But this type of thing needs flourish, no? Answer all the questions I have asked you, which can be found at the bottom of the post! Ask them 11 questions and cry about it because it's harder than it sounds. Inform them that you’ve tagged them via social media/their blog. I thought long and hard about this. Please do not take what I am about to say as an indication that I am a complete psychopath. Or do. Depends on how much you wanna risk your safety. My best childhood memory...or, at least, the one that stands out most in my memory...is the time I slapped my cousin full on in the face. I'm not talking a little love tap here. I mean an arm back, open palm, slapping like a pimp in Grand Theft Auto kind of carnage. Why did I do this? I don't remember the details. We were at my grandmother's house which was pretty staple for us as children in the summer. I was like...eight or nine? Montana would have been about eleven in that case. My brother and my other cousin were off doing something, I don't remember. Anyway, Montana was being obnoxious like young boys generally are. I got mad. I wanted him to stop talking. So, I slapped him. I felt cool for about three seconds because hey, he shut up! Just like in the movies! And then I felt bad. And begged him not to tell. I'm not sure why I thought that would fly since my hand print was on his cheek. I'm not even sure why I find this memory so hilarious because I got in so much trouble later(yes, it was deserved trouble, but that doesn't mean I liked it). But I laugh every single time I think about it. Nowadays, when I bring it up to him, asking if he remembers it, he just kind of grunts with a smirk. Since he grew up to be a Marine, I don't think I'm going to try slapping him again anytime soon. 2. What is your opinion of Tumblr? But, I do enjoy it. I log on just about every day. I used to spend hours upon hours there. Now, it's more like twenty minutes. I like the funny text posts. I like reblogging pretty horse pictures. I enjoy it when horseblr manages to have a civil discussion and I learn something about how horses are managed and viewed in other parts of the world. I don't know. The emotions are mixed. I DON'T KNOW. IT CHANGES EVERY WEEK. LITERALLY. Chris Traeger from Parks and Recreation. We both are super uptight. We both overuse and misuse the word LITERALLY. We both are super at lifting other people up, but tailspin when it comes to our own problems. We're both enthusiastic about positive reinforcement, which we use as a cover for the fact that we're terrified. Also, we both like fitness, though he is much better at it than me. And we both like dogs. To prove my point, I am going to overwhelm you with a montage of GIFs. SEE?!?! WE ARE THE SAME PERSON. 5. What is the thing that, when you do it, you feel ALIVE? Galloping my horse through the woods. It is terrifying and insane because my fat, draft cross can keep up with the swiftest ponies and I am a chicken. But that quiver in my bones brings the biggest smile to my face. I haven't done it for a long while. I need to do it again soon. And then there are those moments when I can just feel God's presence and I crave that almost constantly. 6. Are GIFs life or annoying? Considering I've already used GIFs in this post, I think the answer is obvious. At one point, I ran out of storage space on my phone because of how many GIFs I had saved. I could maintain an entire conversation just in GIFs. GIFs are life, even though I insist on pronouncing it the (technically) wrong way. J-iff is so much more pleasing to hear that G-iff. Fight me. 7. Do you stare at them forever just to read the lips with the caption? 8. Was that last question confusing? No. I follow the method that is your madness. I want to make a difference. I used to want to be an Olympian and win a gold medal in dressage. I find that I don't really care about that anymore. I want to help horses. I want to show people what happens when you don't give up. I want to take broken, burnt out show horses and teach them how to live again. I want to inspire people who have been told there's no chance they will ever get anywhere with their horse because either they're not talented enough or the horse isn't talented enough or they don't have enough money or the right connections; whatever. I want to be the kind of person, the kind of trainer, that I have needed my whole life. Above all, I want to glorify my Lord while doing it. I'm not quite sure how to go about that yet, but I will one day. 10. Who is your greatest spiritual influence? Jesus. That feels like a cliché, but I haven't had much luck trying to be inspired by people. I usually end up feeling bad about myself because I don't believe the way that they do or I don't have their bravery or I'm not as pious as they are. I get too religious; as in “Oh, I have to do this in order to please God.” or “I have to spend x amount of time in prayer or God won't bless me.” I want Jesus to teach me how to believe. I want to be led by His spirit. 11. If you had access to a time machine, where would you go? Back to where it all started. I want to see exactly how God made all of this. I mean, you can read about how He breathed and spoke it all into existence and you're like, “Dude.” But to actually see it...I think my brain would explode and burn itself to a crisp like *SPOILER ALERT* the end scene of Indiana Jones and The Kingdom of the Crystal Skull with the aliens and the weird Russian lady and stuff. Hmm....maybe I shouldn't go back to the beginning after all. I WANT THERE TO BE MORE THAN ELEVEN QUESTIONS. Also, I only know like, three bloggers and I'm pretty sure they have all been tagged...I'll ask some questions anyway and, if you're reading this and want to participate, I tag you! Or just email me your answers, whatever floats your boat. Cause I like these type of things. A lot. 1.If you could be any animal for a week, what animal would you be? 3.Hugs. Hate them or love them? 4. Do you hate sweaters as much as I do? 5. If no, are you one of those supposedly normal people who don't want to claw their skin off when they wear them? 6.If you could be a different height, how tall/short would you want to be? 8.What place in the world would you like to visit the most? 9. Do you like sparkles/glitter or nah? 10. Are narwhals the unicorns of the sea? 11.If the only internet server you could use was Internet Explorer, how likely is it that you would chuck your computer/laptop/tablet/smartphone out of the window? "I follow the method that is your madness." < THIS GAVE ME LIFE. And omg the whole paragraph about your dream job = CHILLS. Same for the answer to the spiritual influence question. You are such a beautiful person and an amazing, inspiring soul I just can't deal with it. ♥ CAN'T DEAL, YA HEAR? IFOJSADMLKCSJAHAHA OMG I was cracking up at that Indiana Jones reference and yes I, too, would like to go back to the beginning (again!!!! uh-oh now Switchfoot is stuck in my head..) but I wouldn't want my brain to fry up. xD AND EEEEP I WANT TO JUST ANSWER ALL YOUR QUESTIONS NOW. CAN I DO THAT? I'M DOING THAT. 7. The Star of Bethlehem. Which is technically a documentary but it's SOOO GOOD and blows my mind every time. A must-watch. 8. THE SEVEN MILE MIRACLE. 9. On Christmas cards and the like. But not on my clothes or my sticky (yep) skin or any other adhesive surface. 10. they are. ♥ cuties. 11. on a scale of 1 - 10? 856. Pro tip: do not ever go into any political tags on tumblr. You will want to cry and scream, "THAT'S NOT HOW THAT WORKS. THAT'S NOT HOW ANY OF THIS WORKS." Yeeahhh the horse side is very divided like, classical vs modern and "if you don't wear a polo when riding, your horse hates you". And this is all from young adults. What. But dude, the Nancy Drew fandom is the BEST. Fo' real. ASHJHDGLKSJDKSJFJGFHSJHF THANK YOU. YOU ARE BEAUTIFUL AND I LOVE YOU AND AND AND OKAY YEAH! I hate the ending of that Indiana Jones film. To this day, I have to shut my eyes when the aliens appear because it's waaaayyyyyy too freaky. Aliens are like, the one thing that terrify me. Except on Doctor Who. But DW's aliens...well, they don't have the budget to be scary, I guess lol! DUDE. I WOULD WANT TO BE A CAT FOR THOSE EXACT REASONS. 5'7 seems like it would be pretty dope. I'm 5'4, so I wouldn't know. I just want longer legs, man. Okay, okay, I am so adding The Star of Bethlehem to my 'movies to watch' list. YOUR ANSWERS ARE AWESOME. DO NOT APOLOGIZE, I LOVE HUGE COMMENTS(and I cannot lie). "Favorite childhood memory: slapping my cousin." .............THIS IS ONE OF THE MANY REASONS WHY WE ARE FRIENDS. XDDDDD omg. READING THIS WAS THE BEST. 1. a hawk. BECAUSE FLYYYINGG!!! 2. I have always had a major thing for the bagpipes, so I would prolly have to say that. 3. HUGS. I LOVE HUGS. LIKE, I AM THE MOST HUGGIEST HUGGER TYPE PERSON EVER. AND PEOPLE SOMETIMES LOOK AT ME WEIRD BECAUSE I'M LIKE *meets up with friends* *hugs literally everyone* *leaves any gathering* *hugs literally everyone* *meets someone for the first time* *ignores hand shake and hugs them* XD it's like almost a problem. 4. SWEATERS. I MOSTLY HATE THEM BECAUSE they're uncomfortable and hot and ehehhhhhhh EHHHHHHHHHH. They just generally make me feel eh. XD and they make me feel tired. Which is actually a theory I defend. I'll be like walking around in my tee shirt complaining that I'm cold and my mom will be like "PUT A SWEATER ON" and I'm like "SWEATERS MAKE ME TIRED." and everyone is just like ".........." haha. 5. I can't remember how this question was phrased, and I'm too lazy to scroll up again to check, I see Abbie said yes, so ima say no. AAAHHA. 6. Dude, ok so I am a SHORTIE. Like, I'm looking at you and Abbs talking about height up there and I'm like lolol i'm shorter. than both of you. XD 5'2. 5'7 sounds cool. Tall girls do not know what it's like to always have guys being like *meets you* "YOU'RE SO TINY ITS ADORABLE CAN I PICK YOU UP" and you're like: "*pulls of the light saber* try." 8. ITALY. AND FRANCE. Because PRETTY and FOOD. XD pretty much how my brain works right there. 11. oh my, very very very very very likely. Ehehheh. DUDE THIS WAS SO FUN! LOVE YOUUU! HAWKS ARE THE BEST. ALSO BAGPIPES RULE. I have a deep seated hatred for sweaters. My mom bought a bunch of turtlenecks for me when I was 8 and I have this thing about things being on my neck and idk negative associations all over the place XD The question was "are you one of those weirdos who doesn't want to claw their skin off when wearing a sweater" and so, your answer deserves praise hahaha. Dude, I get made fun of because my stirrups are so short and when my trainer rides in my saddle, she's just like, "FORGET IT, I WILL RIDE WITHOUT STIRRUPS." Granted, she's almost 5'10. Also, I haven't seen The Nativity Scene. I've seen very few Christmas movies, honestly. But I'm gonna watch this one and The Star of Bethlehem! And girl, idk what's going on, but no matter how many times I edit this post, the spacing and font gets messed up, so I gave up, so that probably has something to do with missing the question lol! iDK how I missed the Christmas movie question. XD It was literally sad how I managed to mess up the numbers in that listing. Like honestly now. Umm. My favorite Christmas movie would probably be The Nativity. It's sooo gorgeously done and well acted.